Edmonton Culture presents the Birthday Tribute series - Aretha Franklin. She's back from Atlanta, Georgia! Everyone asked us to get her back to our city and we couldn't be more exited that Callie Day is returning with her incredible poly-octave range. 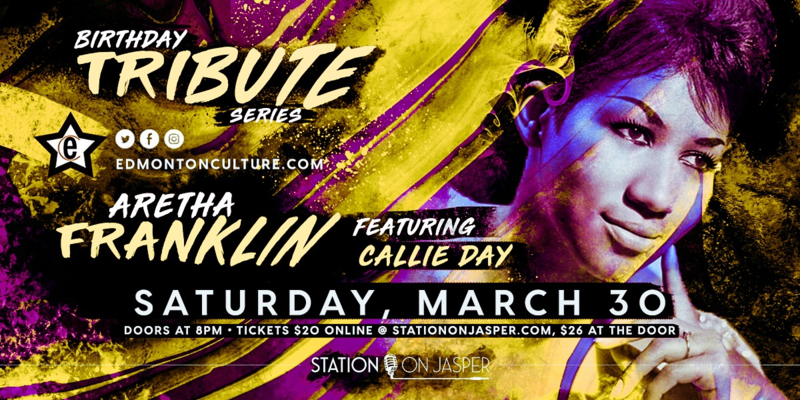 Callie headlines Edmonton Culture's Birthday Tribute Series Aretha Franklin night. Join Callie and a host of other amazing musicians for a special night celebrating the unforgettable music of the Queen of Soul.